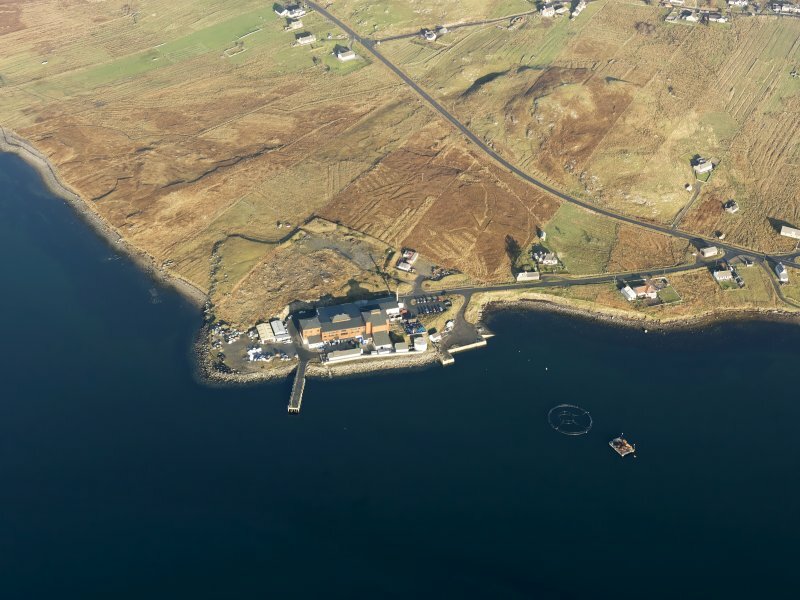 View of chamber from W.
Oblique aerial view centred on the factory and jetty at Breascleit, taken from the S.
View of chamber with Mr Ian Parker and Mr Stratford Halliday, both RCAHMS. 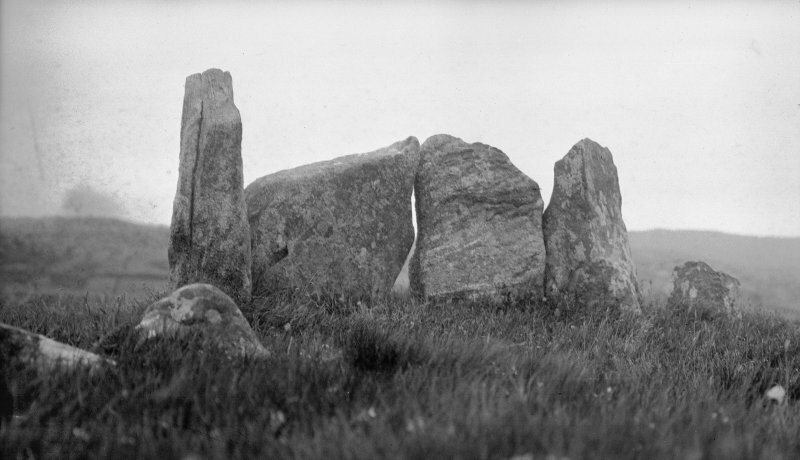 Chambered cairn (remains of), Breasclete. 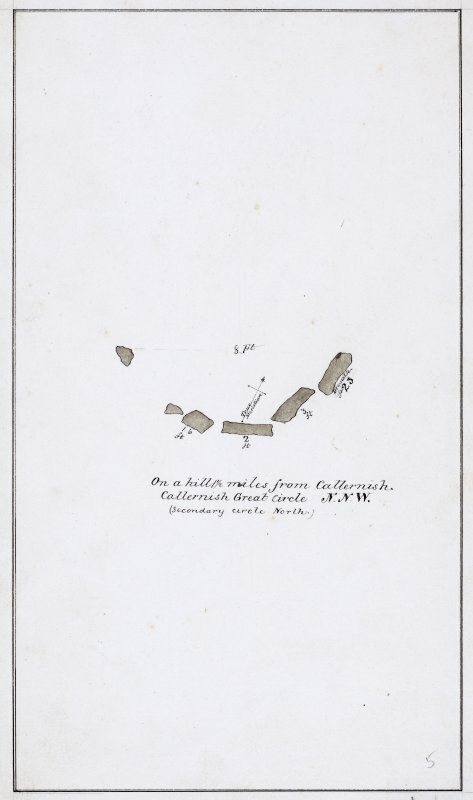 Plan of stone setting 'on a hill 1.5 miles from Callernish. 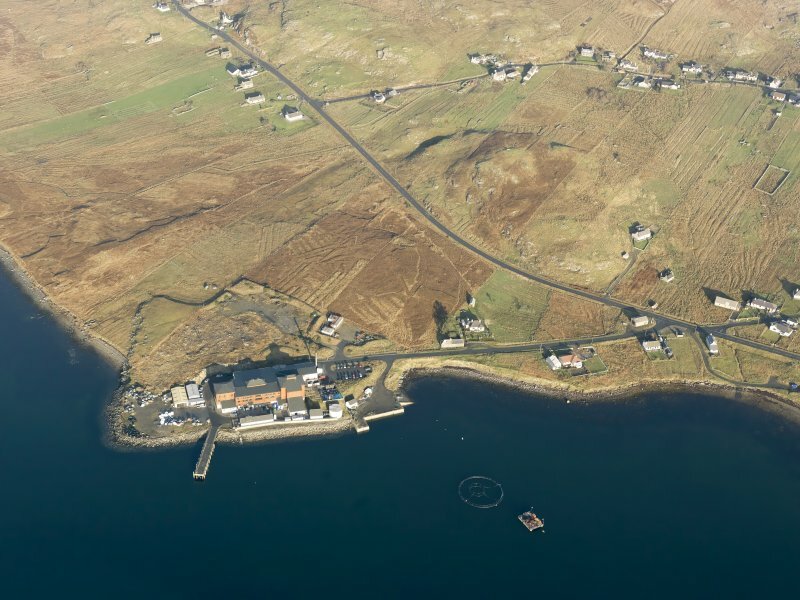 Callernish Great Circle NNW (secondary circle north). 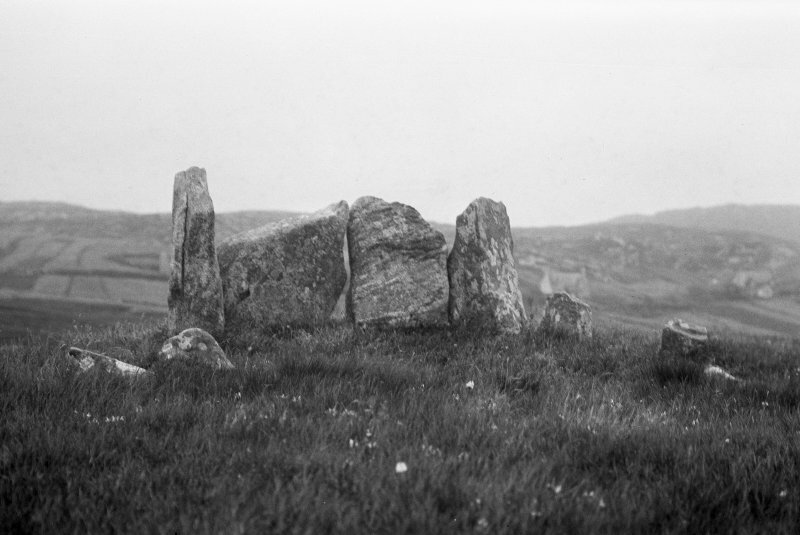 View of chamber from S.
There is now no vestige of cairn material, but the remaining stones appear to represent the north half of an oval or circular chamber. 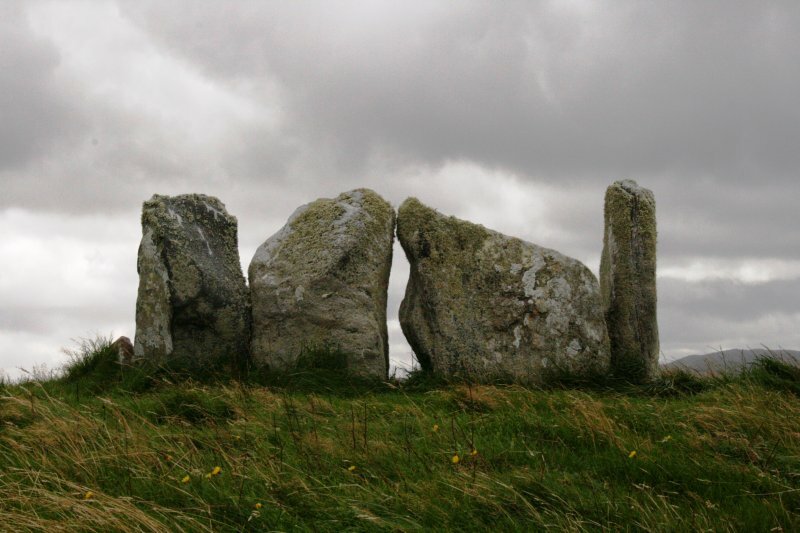 There are four upright contiguous stones 2'9" to 3'9" high, their vertical sides fitting fairly closely. There is also a small but apparently earthfast stone 9" high, to the SE. 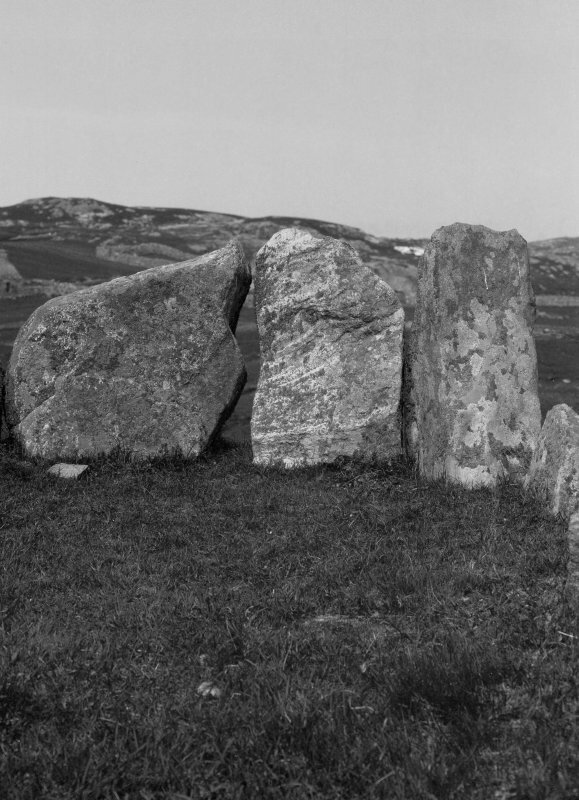 To the SW may be seen the tip of a stone lying almost flat, presumably a fallen stone from the chamber. The remains of a chambered cairn on the top of a small but quite prominent hill. 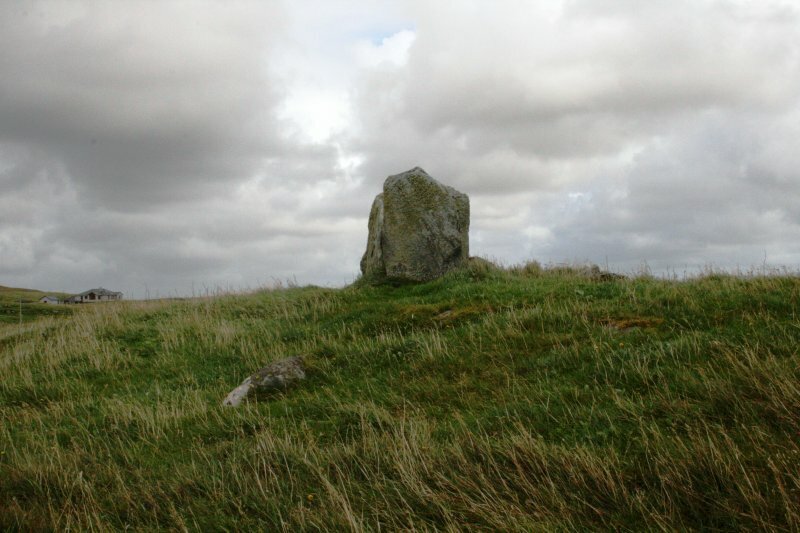 The site of this cairn is on the summit of a small hill within an area of rough pasture. 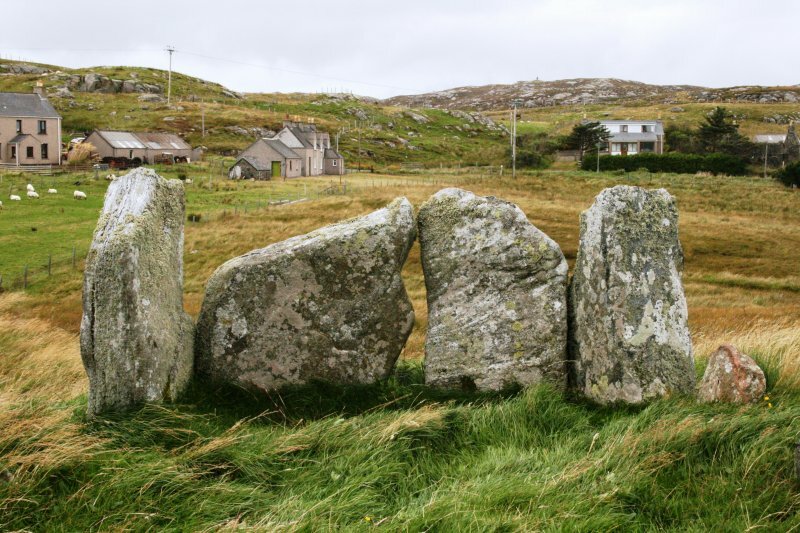 As described and planned in earlier accounts, four stones of the chamber remain standing together with two smaller earthfast stones to the SE; one of latter is set at such an angle that it probably did not form part of the chamber. 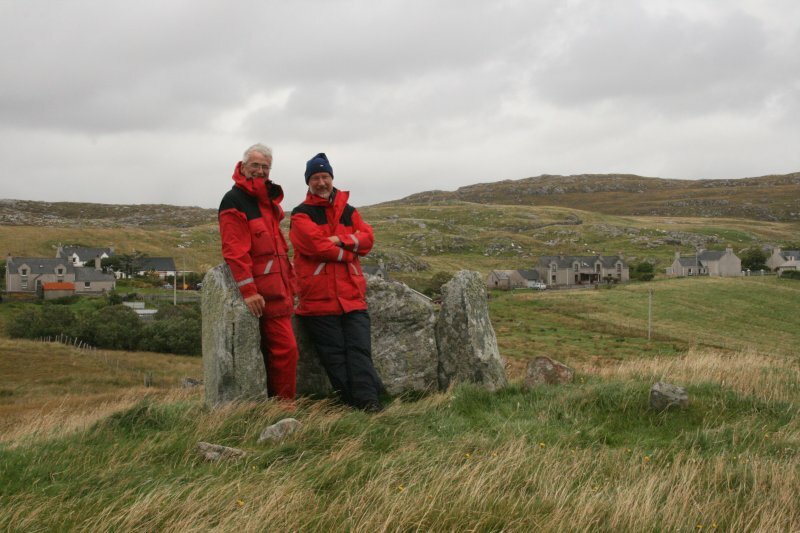 No cairn material is visible, and it is difficult to visualise the shape and extent of the cairn, partly on account of the rocky edge of exposed bedrock that tails off downslope to the W.